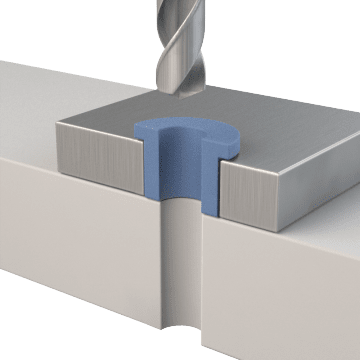 Press headed press-fit drill bushings (H) onto a jig or fixture to help ensure accurate hole placement and keep your cutting tool from bending or walking when entering a workpiece. 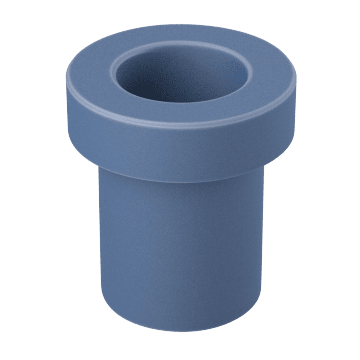 Headed liner bushings have an overhang that prevents them from being pushed through the jig and are typically used in applications where axial loads or vibration could alter the position of headless liners. The bushing can be installed with the head projecting above the fixture, or it can be countersunk so the head is flush with the fixture's surface.